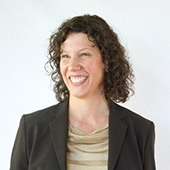 Aliki has over 25 years experience developing and directing leadership and communication strategies for individual and organizational improvement. She has worked extensively in social services and public health, in both public and private sectors, including with and for the Centers for Disease Control and Prevention where she led the development and implementation of CDC’s first global birth defects program. Aliki is co-owner and development and evaluation director of BigThink Partners LLC and owner/director of Core Engagement LLC.She received a BA in political science from the University of Connecticut, a MSW in social service administrative practice from Florida State University, and a MPH in health policy and management from Emory University, Rollins School of Public Health. Aliki serves as the executive director for PUSH!